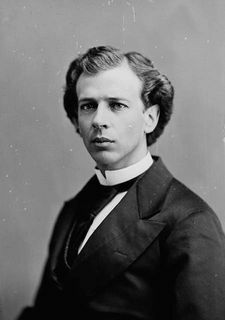 There was no doubt that the highly intelligent Wilfrid Laurier would pursue his education after his classical studies. He chose a liberal profession, lawyer, and left his home village for Montréal. At this time, Wilfrid Laurier already had charisma and a natural, noble air. In the eyes of all, he had the necessary distinction to lead the country: a haughty bearing, well-groomed appearance and a firmness of step. Even as a youth, the people of his village called him “The Little Man”. When older, he attracted the interest of young ladies, but his attention at the time was focused solely on his studies and passion for politics.